The alternation of generations is certainly ongoing. The latest report by CNNIC said Weibo decreased the number of its user and the usage rate for the first time. Last time, I reported the summary of report by CNNIC, and I explained that the latest number of internet users and mobile internet users in China. And today, I would like to introduce the situation by each internet service in China. 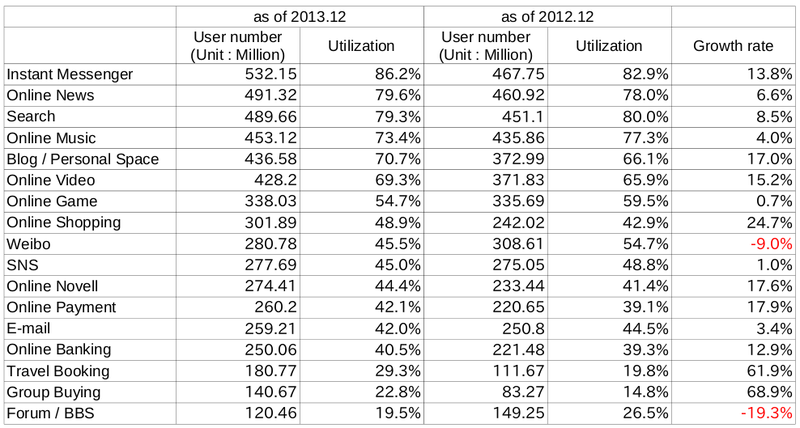 The first picture is written about the number of users and the usage rate by each internet services in China. Instant messenger still kept the pole position, and its user number was 532.15 million people, and its growth rate is 13.8% increasing compared with the previous year. And the travel booking service and the group buying service scored more than 60% growth rate, so it can be said that their service achieved rapid growth compared with the previous year. But the most symbolic result is the decline of Weibo. Weibo decreased the number of its user and the usage rate for the first time. As I explained before, the growth of Weibo was slowing down from the last half of 2011. And its active users were also slowly decreasing. But this time, its fact was verified by this report again. From the last year, WeChat and similar service was rapidly increasing users, and Weibo had been absolutely affected. Sina Weibo started the collaboration with Alibaba group last year, and they had groped the monetization of their platform. Sina Weibo started the collaboration with Alibaba group last year, and they had groped the monetization of their platform. But I think its monetization also had a one of the negative impact for their users. Because their collaboration brought a lot of advertize posting on their platform, so it seem that the quite a lot users decided to stop using their platform. To keep balance of the monetization and the user satisfaction will be most important thing for Sina Weibo, I think. And the next graph is the situation by each mobile internet services. 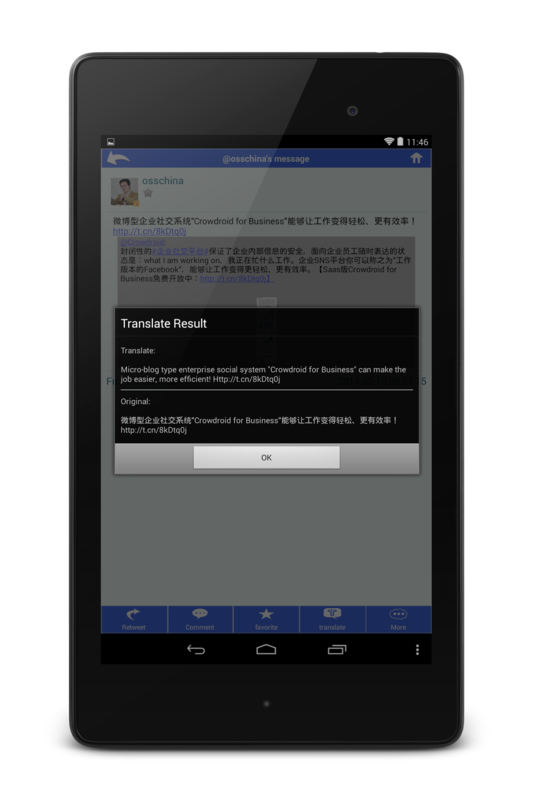 'Weibo' also decreased the usage rate in mobile internet area, and it decreased 8.9% compared with the previous year. 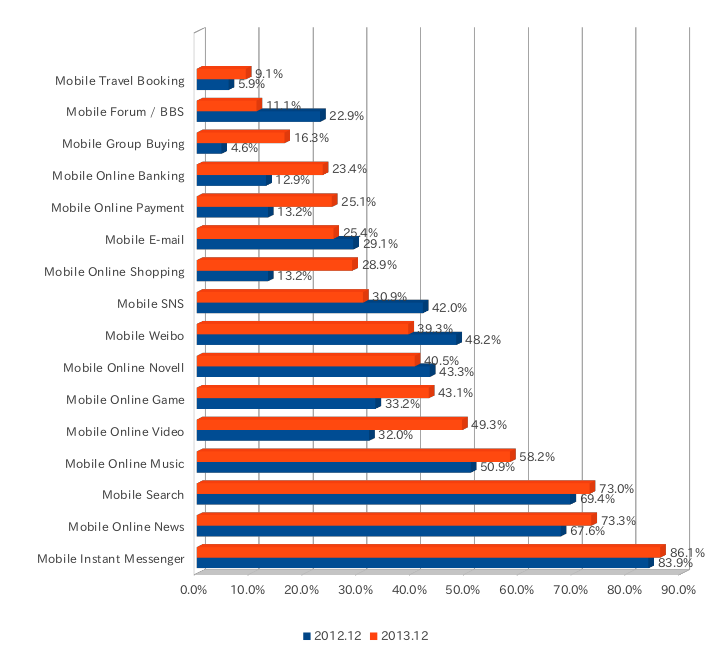 And 'Mobile SNS' also decreased the usage rate, and it decreased 11.1% compared with previous year. I wonder whether WeChat or similar IM services can keep their power or not, otherwise other new service may be appeared.